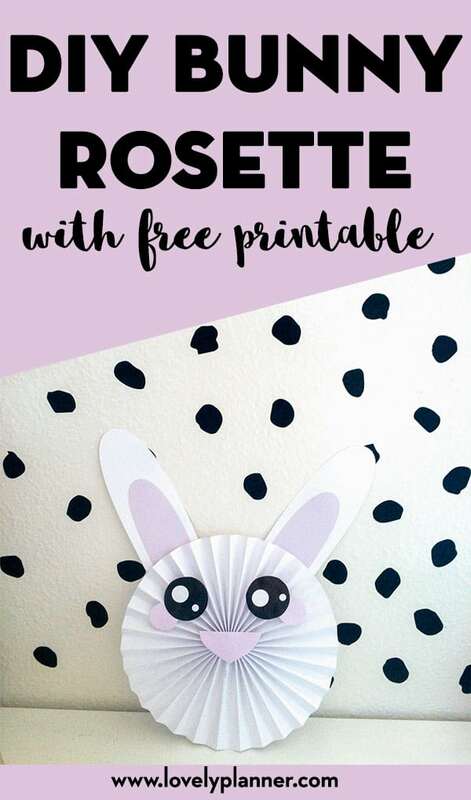 I’m excited to share with you a new printable to help you create a DIY Bunny Rosette that can be perfect for your Easter decor, party decor or just as a fun craft with kids. 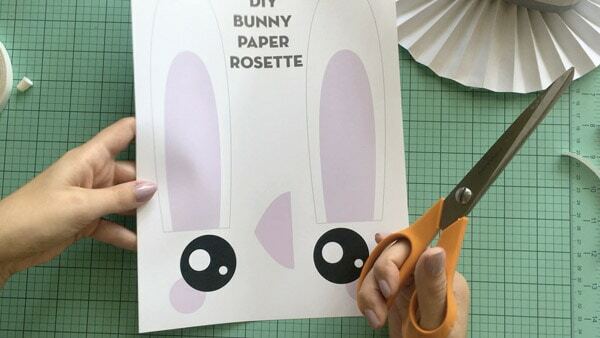 I created a printable page with 2 eyes, 2 ears and one little nose to help you create your bunny rosette in no time! 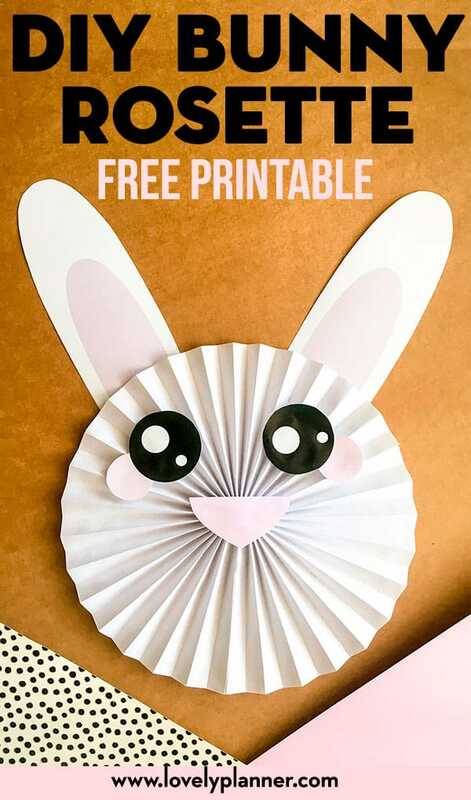 This Printable Bunny Rosette is a very easy DIY that doesn’t require many supplies nor time. I made mine in exactly 15 minutes, without rushing at all. 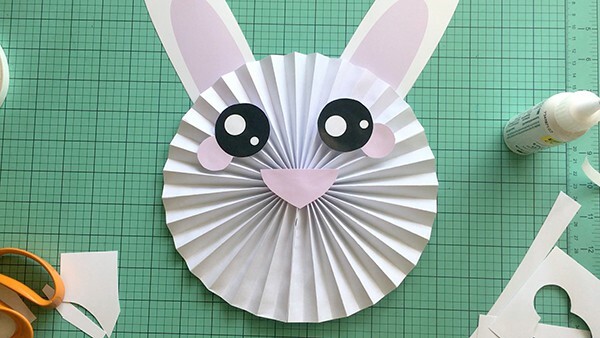 This DIY only requires cutting, folding and gluing which makes it a great Easter craft for kids. Depending on your child’s age they can either do it alone or with your help. 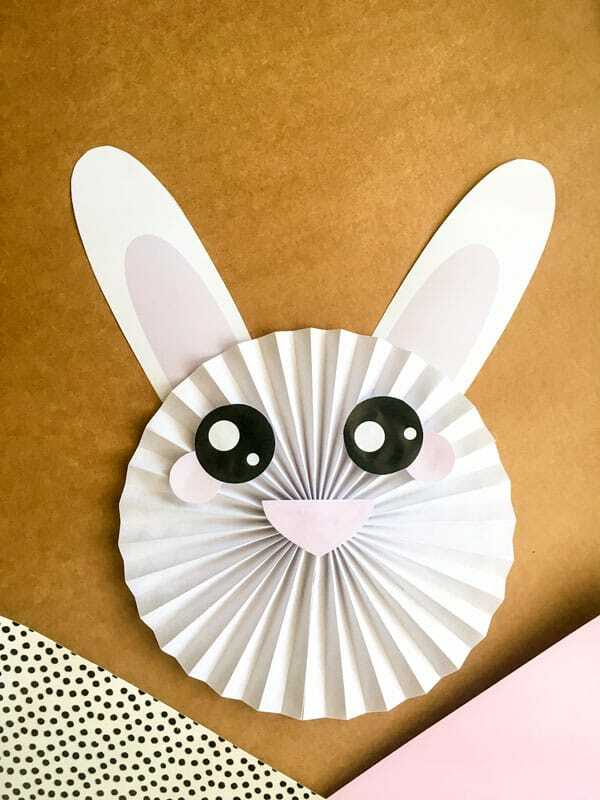 This bunny rosette is pretty big too (8,5″ diameter, not counting the ears) so if you make a few you can easily create an adorable Easter party backdrop! 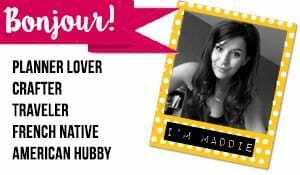 To guide you through this DIY, I’m offering 2 types of tutorial: a video and a written one with pictures. As I said this is a very fast and easy DIY so the printable is pretty self explanatory, but here’s a few tips you can use to create these baby closet dividers. 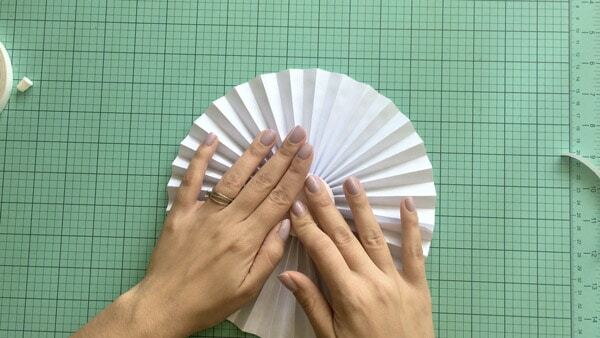 You’ll only need a printer, paper and a pair of scissors to complete this project. Little efforts for big results. Once you’ve cut each divider you’ll just have to place them in your closet and start sorting your little one’s clothes. Optional: scoring board – here’s the exact one I have. I wish I could craft that fast! If you need more details, make sure to read the instructions below. Download the free printable PDF file (1 page) further down this page. Print it on thick paper and cut both eyes, both ears and the nose. 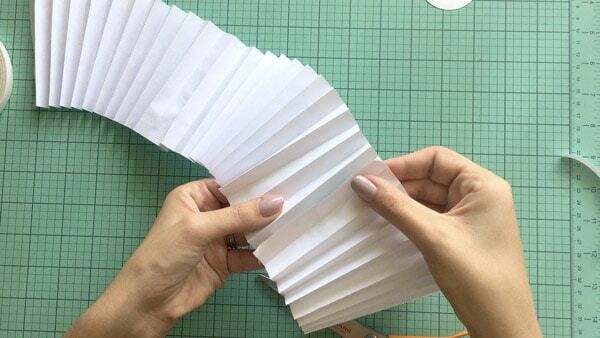 Fold each sheet in an accordion shape. I left 0,5 inches between each fold. 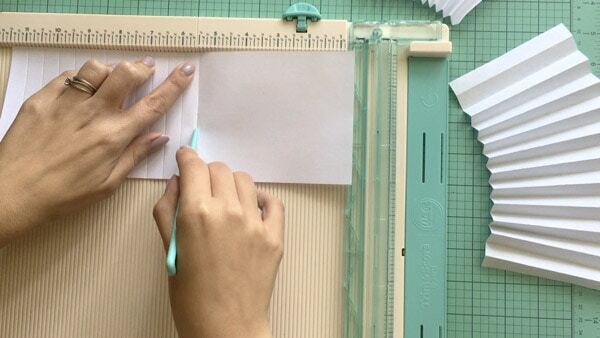 I used a scoring board (this helps you score with regular spacing) but you don’t need one, you can simply fold the paper in accordion using your fingers. 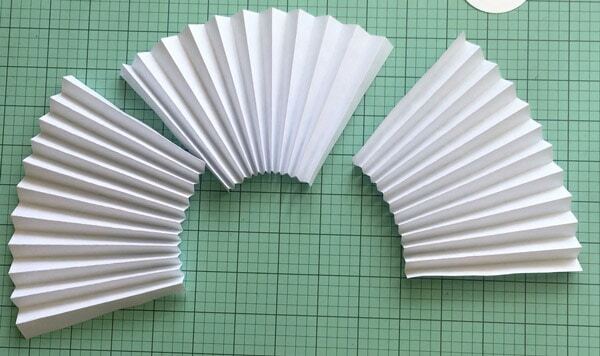 To create your rosette you’re going to need to attach these 3 accordions together. I like using double sided tape to connect the ends of the accordions to each other, this keeps the process neater and more durable. Plus, you don’t need to wait for the glue to dry. Once all the ends are connected you should have a closed circle of folded paper. To create your rosette, you simply need to push down in the middle of it to flatten it. To keep it in place, glue a circle of paper on the back of your rosette and keep it firmly in place until the glue is mostly dry. You can leave a little weight on it while the glue dries if necessary. Add some glue to the lower part of both ears depending on how much you want them to stick out or not. Press firmly onto the back of the rosette while the glue dries. Once the glue of the ears is mostly dry, flip your rosette and glue the eyes and nose on the front. Place the nose right in the middle of the rosette to hide the not so pretty part. Note: I realized while making this DIY that the eyes weren’t properly mirrored so I fixed the file. The printable you’ll download will include nicely mirrored eyes. And there you have it, a pretty and big bunny face to display on your walls, shelves, etc. 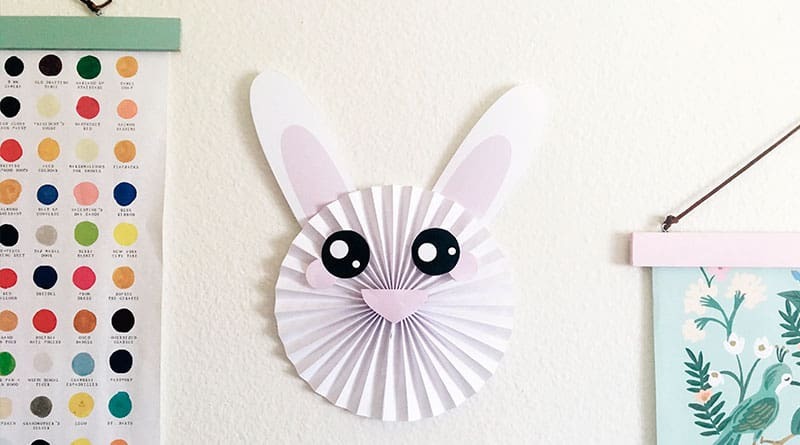 A very easy DIY to add to your Easter decor! Not a subscriber yet? Some of my free printables are for my newsletter subscribers only. It’s totally FREE of course!